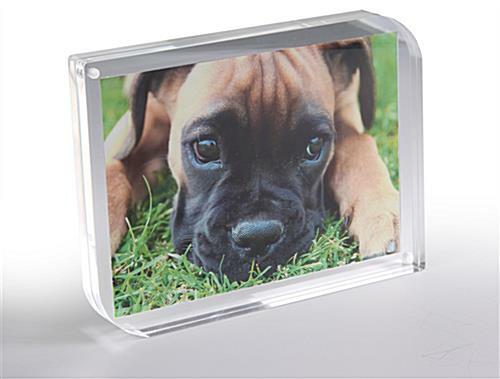 This Acrylic Photo Block has a Sleek Design! Many other Portrait Holders are Readily Available on This Website! Buy an Acrylic Photo Block Now! 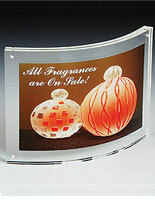 Media Size: 5" x 7"
Crystal clear acrylic construction for low price point. Sleek design to complement any home or business setting. (2) 3/8" Acrylic panels have magnets to secure 5" x 7" prints inside. An acrylic photo block that has magnets is so much easier to use then traditional frames with the hard to use retaining clips. Prints will be protected from damage by the 3/8" thick panels. 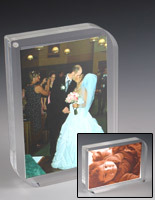 Each acrylic photo block is great for home or office use. The sleek looks of these frames make them very popular. This acrylic photo block also makes a great gift. These picture frames have a timeless look that people will cherish for a long time. 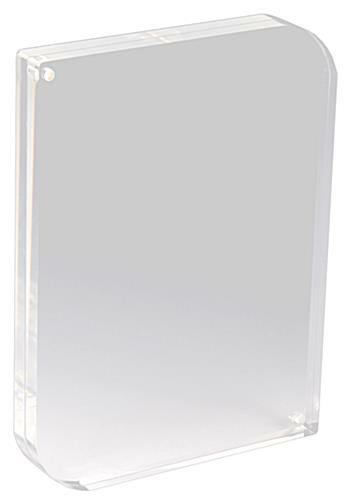 This picture holder is an acrylic photo block that is affordable. The low cost of these frames make them a great buy! 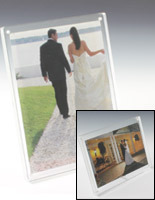 This acrylic photo block, call a clear print frame, is made up of two 3/8" thick panels with magnets in two corners. Users can insert prints quickly and easily by separating the panels, placing the picture down on one panel then placing the other on top so the magnets line up and attach. This acrylic photo block for 5" x 7" prints can display a single image or (2) portraits back-to-back. Customers love the ease of use of these picture holders. 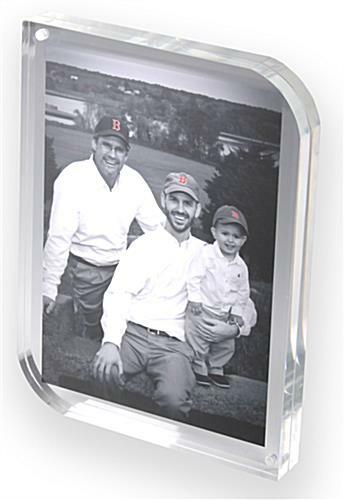 The frameless design of this acrylic photo block makes the portraits the main focus. 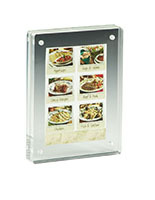 These picture holders can be displayed on a table, mantel or countertop in either portrait or landscape format. 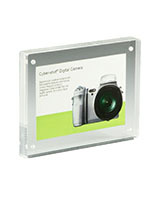 This clear acrylic photo block is not designed to be mounted on a wall. Prints appear to be floating in these crystal clear displays. 32.0" x 8.0" x 0.75"